This week I will be presenting a session on the ‘latest and greatest Y.A. lit’ to my district’s high school ELA teachers. Titled “Now That’s What I Call Books! 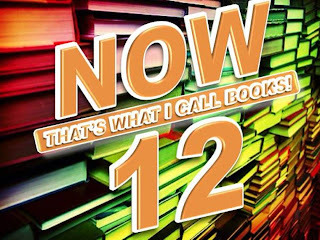 12,” I thought it would be a cool idea to do a take-off on the long-running, popular music CD series, “Now That’s What I Call Music! Vol. #” by making a so-called ‘best-of’ books comp from 2012. 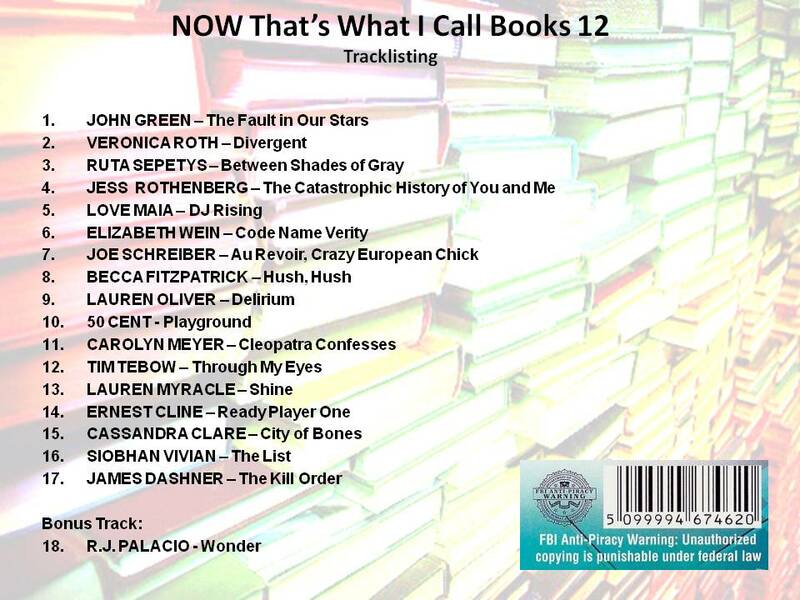 Okay, so a few book copyrights may pre-date 2012, but sometimes popular songs are slow to build too (like Cassandra Clare's City of Bones from her Immortal Instruments series, which only rises in popularity and should be read from the beginning). 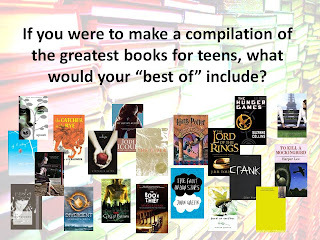 First, I want teachers to reflect on the young adult books they would put on a ‘best-of’ if asked – this might include books they read when they themselves were young, books they currently teach, or books they don’t necessarily teach but read and really enjoyed. 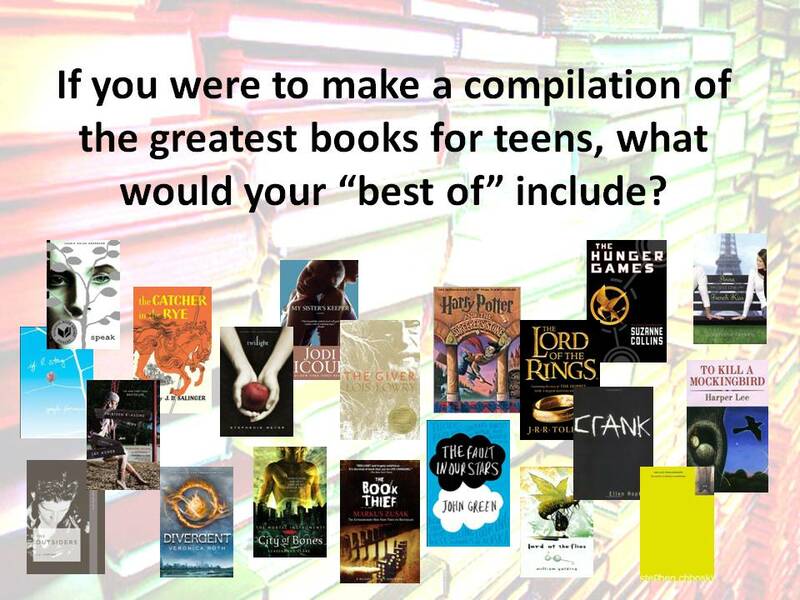 Next, I plan to share with them the recent list put out by NPR featuring the Top 100 Best-Ever Teen Novels as voted on via a poll by their readers (I cast my vote…did you?). 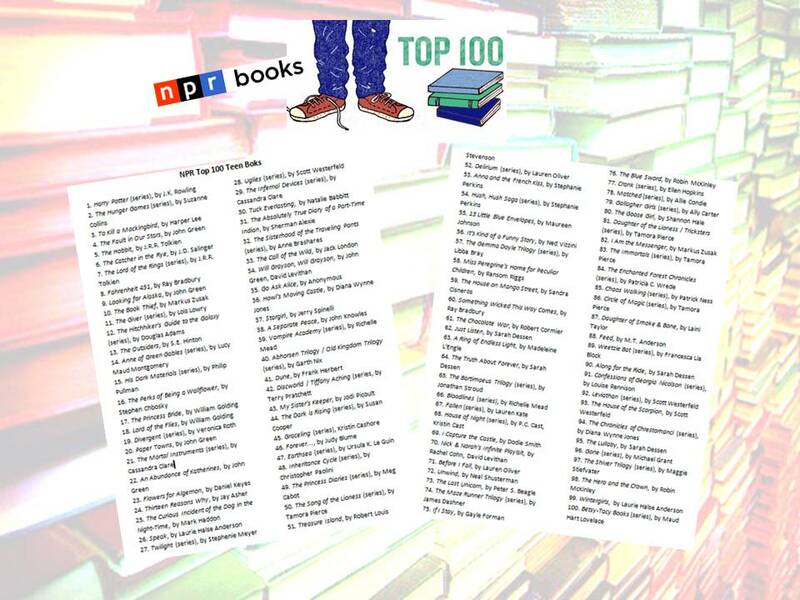 Copies of the list will be at their tables/desks for them to highlight the books they’ve read. We’ll then discuss what they notice about the titles they highlighted – in their reading, do they veer more towards the classics or current titles or a nice mix of both? I’m especially interested to hear their thoughts on the number of current books on there – ie. Divergent, Mortal Instruments, Anna and the French Kiss, etc. – and if they’re bothered by that. In other words, how rigid are their personal feelings on what qualifies as classic or good enough to be alongside the classics? It’s an interesting debate, especially since many of our high school-ers might consider The Hunger Games to be a “classic" (hey, we live in a world where MTV considers "Laguna Beach" and "The Hills" to be #retrotv). The balance of classics vs. currents on their lists may depend on what kind of readers they are –how much does the person read outside of what it actually taught in the classroom? 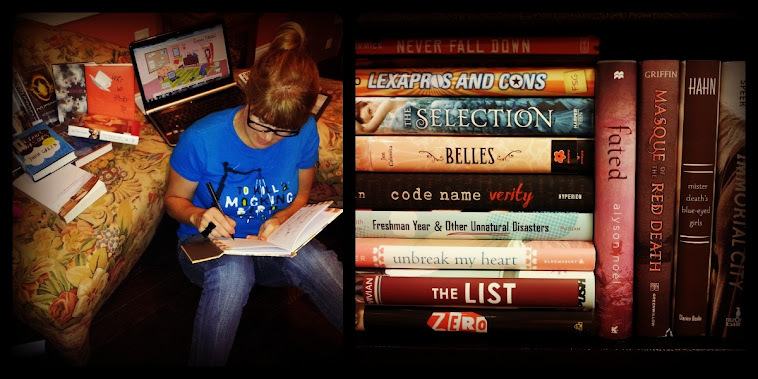 School librarians and teachers should make a point to read new books outside of what’s taught in the curriculum – not necessarily new in copyright, but new to them. 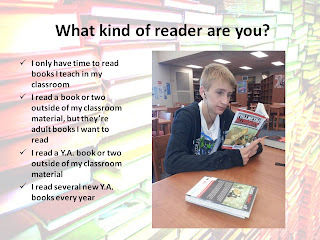 We ask our students to do assignments and read books outside of class – shouldn’t we be positive role models and do the same? But what should I read first? 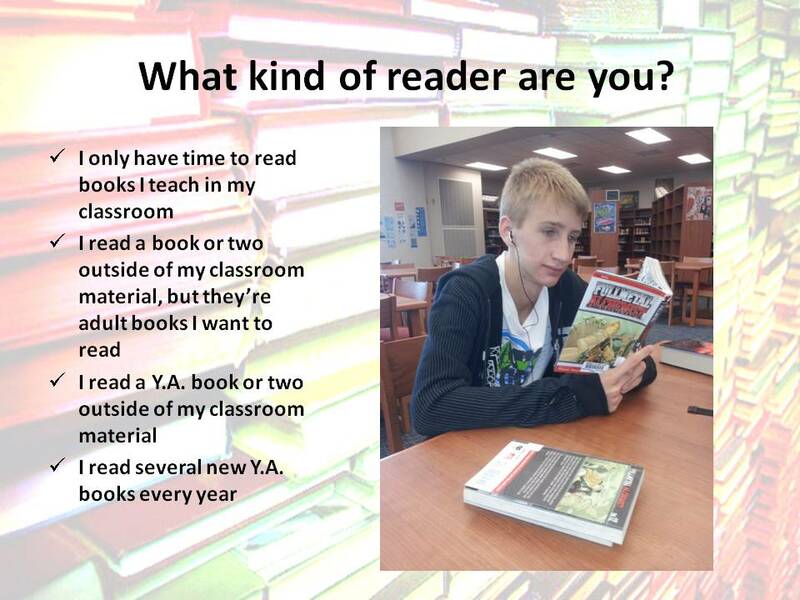 If you’re a teacher who doesn’t have much time to read outside of class, how do you know what to pick and choose? What books are worth the effort and might even worm their way into classroom instruction? 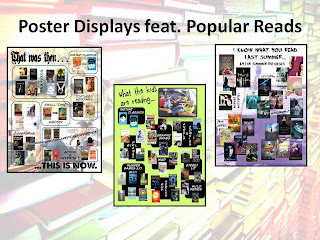 Here’s where I plan to introduce my teachers to several posters I created that feature: 1) the relationship between classic lit and current lit, 2) the most popular books and trends at my particular high school, and 3) a quick look at books that came out this past summer that their students might be discussing when school starts back. Okay, so it’s understood there’s NO WAY anyone can read all of these books – um, I’m a school librarian who reads A LOT, and I haven’t read all of these books. 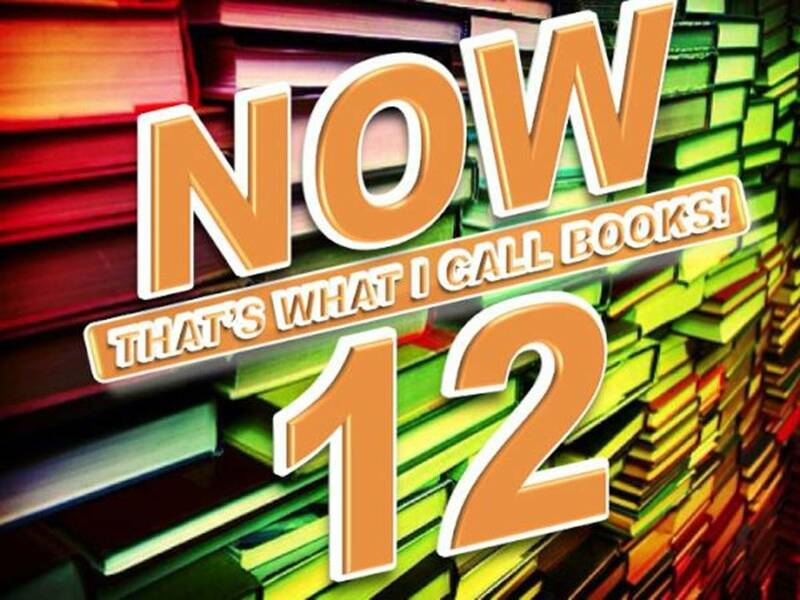 The point I want to stress to teachers is to be aware of what themes and titles are big with their students, and if they want to branch out and read a book or two or three, then maybe they can start with some titles from “NOW That’s What I Call Books! 12”. 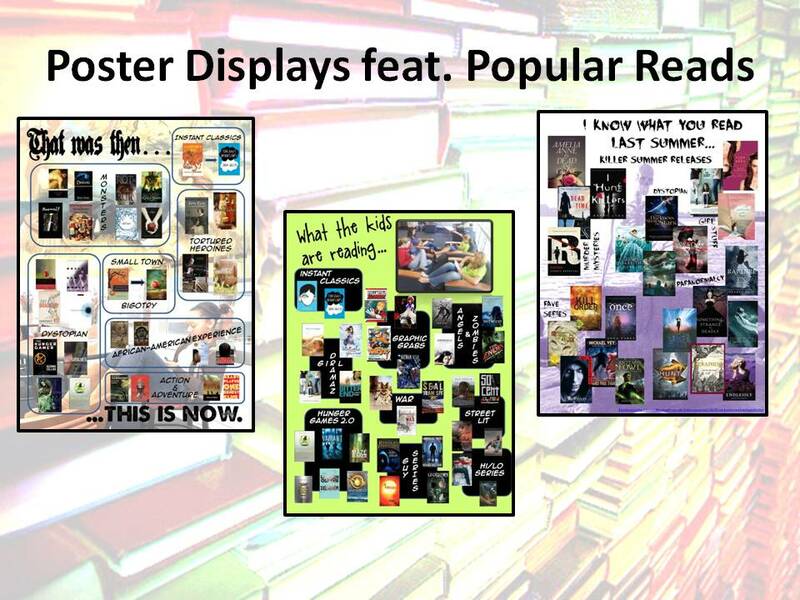 While some books are across the board hits no matter what part of the country or school you're in, of course there are books that are more popular with my students than yours and vice versa. If you had to produce a hits collection, what would make it onto your tracklisting? Lastly, if my district’s teachers are open to it, I am more than happy to lead a Y.A. 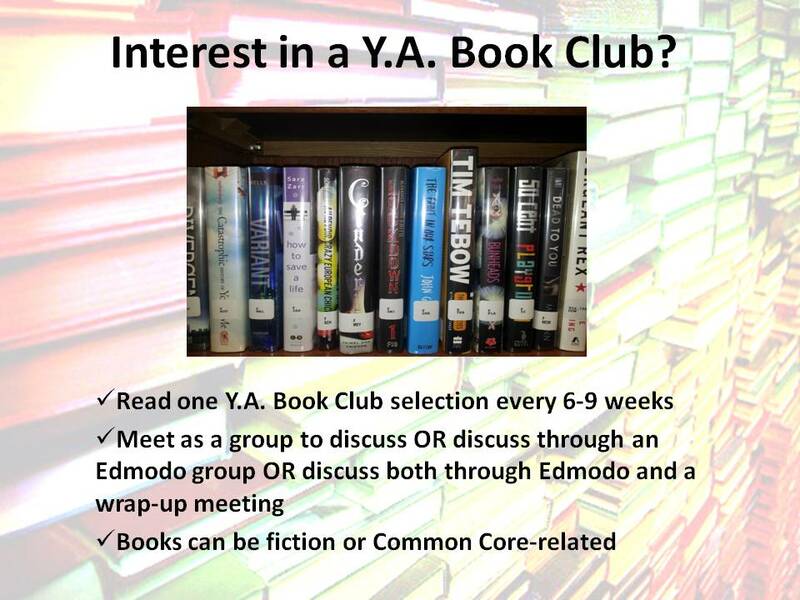 book club for interested teachers, administrators and school librarians. We can push to read a book every six weeks, or baby-step it by sticking to one book a nine weeks. A great way to maintain some accountability will be through an Edmodo discussion group – NOT that there’s going to be quizzes on the book club selection, but maybe a pacing guide or feedback upon finishing certain scenes or the entire books might help. My recommendation for our first book will be to read John Green’s The Fault in Our Stars. Best of luck to all of you school librarians starting back to a new year. Let’s do our best to inspire a love of reading in our students AND teachers alike! 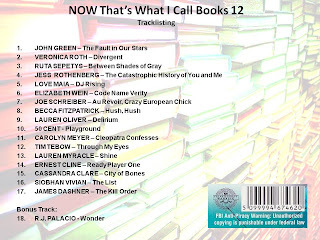 Many thanks to the lovely and talented Kristen Hearne (http://thelibrarianinthemiddle.blogspot.com/) for creating the Now CD cover artwork. Kristen joined me and two other of our district librarian cohorts, Tamara Cox (http://e-literatelibrarian.blogspot.com) and Monique German (http://thisshelfreserved.blogspot.com/), in putting all our brains in a Petri dish and coming up with a post based on this concept for an upcoming Nerdy Book Club. Known as the “Librarians in the Middle,” Kristen, Tamara and Monique have prepared a similar presentation for middle school ELA teachers.